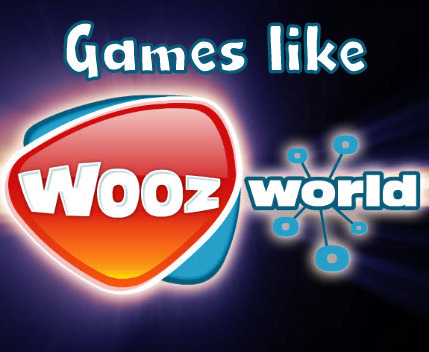 Woozworld is a unique virtual gaming world and social network service for tweens and teens. The game allows the players to create customizable avatars, create their own spaces and businesses, play games with friends. If you are a fan of virtual world games like Woozworld and looking for similar games then find the recommendations for it below and don't forget to mention if we miss any games as we keep on updating this list. Visit Official website Here. Habbo Hotel is a social game and virtual community for teenagers where they can meet and make friends, chat with them, play mini games, design rooms and do much more by creating a fully customizable online character called a Habbo. Visit Official website Here. Poptropica is an online, role-playing game by Pearson PLC. It is a virtual world for children from 6 to 15 where they can go to different islands on several quests, play many multiplayer games and meet, make and compete with new friends. Visit Official website Here. Club Penguin is a popular MMO (massively multiplayer online) virtual world game by New Horizon Interactive. The game is set in a snow filled world where you can play as cartoon penguin-avatars. Visit Official website Here. Fantage is a virtual world for children where they can play, socialize, and learn in a safe and exciting online environment! Users can explore the world with their own personal avatar, which they can customize by choosing distinctive features, hairstyles, and clothing. Visit Official website Here. IMVU, Inc. is a social entertainment company connecting users through 3D avatar-based experiences. A leader in developing online communities, IMVU has more than 100 million registered user accounts worldwide and features the largest user-generated virtual goods catalog of more than 10 million items. Visit Official website Here. Meez, ....if you can think of more, then don't forget to mention it in comments.